The 150hp also features Optimized Fuel Injection, which delivers the precise amount of fuel/air to each cylinder. This gives you easy starting and an instant throttle response. Plus, the 3-way cooling system provides added protection from over heating. 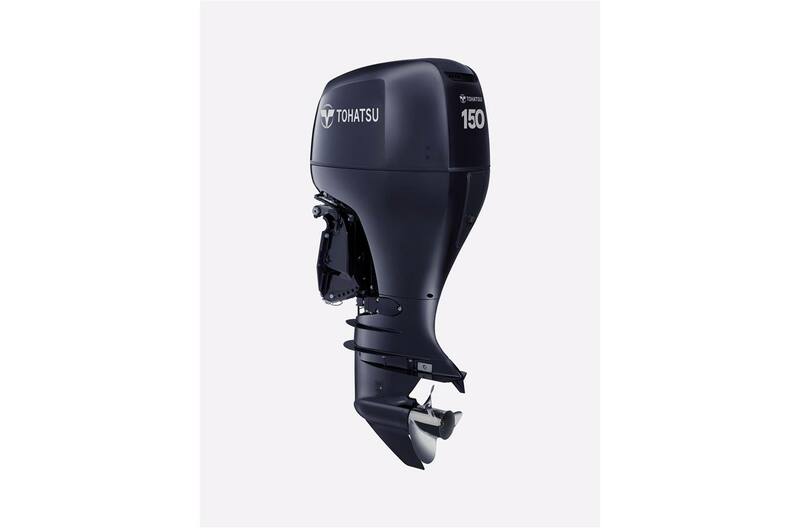 You'll enjoy worry-free boating with the Tohatsu four stroke 150 hp outboard. Dual Stage Induction - Breathing easier improves performance: BFT 225 has a unique variable intake system which optimizes air flow to match the engine's speed. The results are maximized combustion efficiency, increased torque, and superb fuel economy. Transom Height: 20 in., 25 in.